In small firms and agencies, a lot is expected of employees. There may not be room or time for silos or extreme specialties. Team members often wear many hats and have varied responsibilities. Along the way, they likely develop skills that may not have otherwise been developed, creating the Bo Jacksons of the professional world. While this opportunity is exciting and challenging (ArcStonians are always up for a challenge), let's face it: some amount of specialization can increase your firm's efficiency, your team's happiness, your customers' satisfaction, and ultimately your bottom line. When this isn't possible with your smaller organization, a project manager can be even more critical to your success. There are plenty of ways that project managers can help push any team further, and here are just a handful. There's no question that having solid practices in place (not to mention a dedicated staff member) can help your production talent get more focused and efficient with their daily workload. Time spent coordinating client meetings, answering questions and taking calls is certainly valuable to maintain a good relationship with the client, but those tasks can easily distract from completing deliverables on time. For example, designers may also be great schmoozers on the phone, but their time and energy is really best spent producing great work that wows clients and creates referral business. Let someone else handle the nitty gritty details. Once your design team has knocked the socks off of a customer and they've referred your firm to a contact, you want that contact to have the same experience the referrer had. 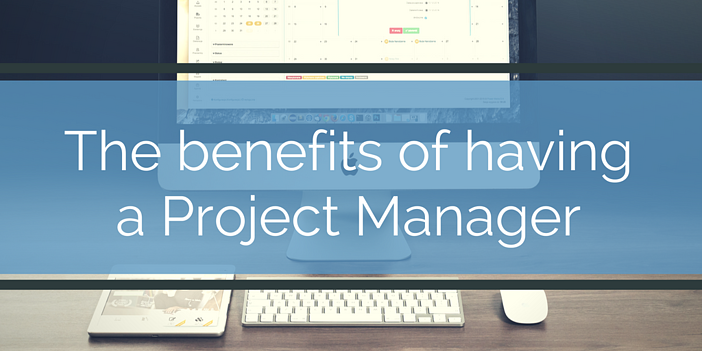 Having project managers overseeing each job that comes through the door can help ensure this consistency happens. Dedicated staff members monitoring budgets can pay extra close attention to the ins and outs of a project, and monitor its health throughout the entire cycle. Key to the health of a project is its budget - no one likes a job that ends up costing more than was agreed upon. Keeping projects consistently at or under budget is one great way to develop a reputation as a firm to be trusted. Successful project managers can play an important role in the dynamic between production team members, customers, and management. They can gather useful tools to make others' jobs easier, nurture relationships with customers during and after projects, and help teams become agile to deal with the challenges that come with each different project. Have a project in mind? Tell us about it and we can discuss how to make it happen.